Targeted at preventing and resolving the impact of chronic stress, BioMatrix’ distinctive formulas are designed to help restore optimal function of the critical body systems. Pregnenolone is a natural steroid hormone produced in the body from cholesterol and all steroid hormones are derived from it. Pregnenolone offers support for immune system, mood and memory. 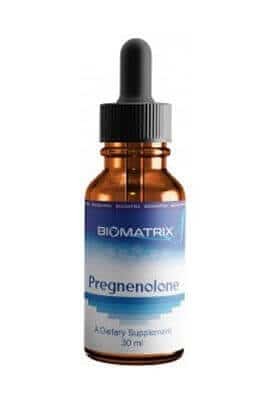 * Pregnenolone from BioMatrix is of the highest pharmaceutical grade. It contains just enough alcohol to be absorbed under the tongue (the alcohol is vaporized and not absorbed). The Pregnenolone thus bypasses the gut, where malabsorption may be a factor and oxidative reactions cause hormone degradation. 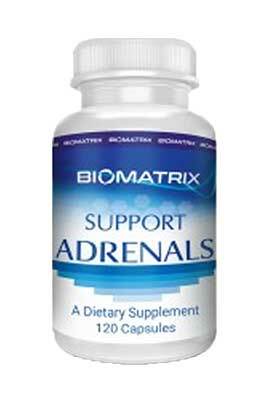 Strong, healthy adrenal glands need support. Everyone experiences stress, so we need to support the organs directly responsible for resisting the damage of stress – the adrenal glands. Given unhealthy diets and lifestyles, plus exposure to infectious organisms, toxins and pollutants, our nutrients must be exceptional to be absorbable and provide adequate protection. We all need a daily supplement to help the adrenals work against the odds. BioMatrix DHEA is formulated from wild yam (Dioscorea villosa) extraction. Its molecular structure is identical to that which the body naturally produces. 1.2 mg (1 drop) of BioMatrix DHEA is equivalent to 3 mg of micronized oral DHEA. DHEA is critical in addressing hormonal imbalance and in supporting adrenal and thyroid function. It has been shown to promote healthy cardiovascular function, boost energy, stimulate mental health, reduce stress, improve libido, decrease body fat, and promote an overall sense of well-being.